Welcome to the Burley Model Allotments website, these pages are intended to be a resource for allotment holders or anyone interested in growing their own produce. The site is here to inform and amuse you. Our intention is to be able to keep all our members and the local community up to date with any Allotment related information, news or events and of course we will also keep you up to date with all the FUN things as well. "You are as sharp as a bowling ball." "One day you're the best thing since sliced bread. The next, you're toast." If you want to join us here at Burley Model Allotments then go to the Membership page. Here you can read about why it is such a great place to enjoy growing flowers and vegetables and just enjoying the allotment site. However if you are just itching to get started then go to the Join Us page and complete the online application at the bottom of the page. If you are still itching then there must be some cream or tablets you can take for this. 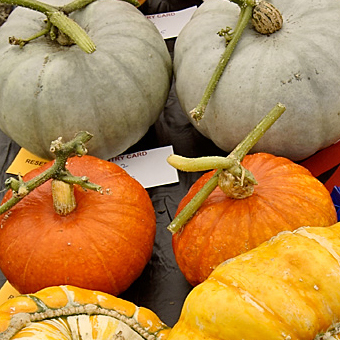 There are regular events throughout the year culminating in our Annual Vegetable and Flower Show which is usually held on the first Sunday in September. Please visit our Annual Show page, here you will find details of the Show plus the Show Schedule. You may also wish to go to the Gallery page; here you can view our photo gallery from previous years shows. We also hold plant sales and seed swaps giving members the chance to catch up with old friends, make new friends and exchange plants and seeds. We also encourage days out to visit gardens near and far and all suggestions are welcome. Please go to the Links Page where you will find a list of places to go and visit. Although this is not a comprehensive list of places to go it does cover most of the popular visitor attractions in the Yorkshire area. Burley Model Allotments aims to support our members of the Association to ensure that they get the maximum benefit from their allotment plots. We would like to encourage the sharing of knowledge, a love of growing vegetables, fruit and flowers and social interaction. We hope that our allotment plots will be a huge benefit to the whole of our community. Burley Model Allotments are focused on forming strong partnerships and have worked tirelessly in the last few years with similar groups and individuals who are all working towards achieving the same goals. We hope that we will be able to form new partnerships over the coming year and work towards promoting allotments and the benefits of growing your own produce. Please join us, as the more partnerships we are able to form the stronger our organisation becomes and the more people we are able to help. Help, however, is a two way boulevard and the more help that we have from members of our association as well as the community at large then the better shape we will be in. This will enable us to help more people and improve the site for future generations. 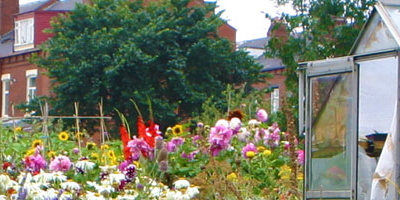 The Site is owned by Leeds City Council and is self-managed by a Management Committee which is elected every year at our Annual General Meeting. for more information please go to our Site Management Page. The site was first opened as allotments in 1892 and was remodeled in 1958. We aim to improve the allotments each year and try to improve the site and its facilities year on year. Members and associate members benefit in many ways from the activities of the Association and also help the Committee in the running of the site. Our Aim is to ensure that everyone can ENJOY Burley Model Allotments and the facilities we provide. We always try to remember that growing is FUN. Our intention is to ensure that everyone can revel each day in your own little piece of heaven and that by working closely with nature we learn more about ourselves and the gardens we create each and every day. We will actively pursue the continual improvement of the fertility, cleanliness, productivity and facilities of the site, as a whole, for the benefit of all plot holders and to ensure that we provide a legacy for those who follow. We are committed to ensuring that the environment and wildlife areas are protected and to publicise the pleasure and virtues of gardening as a hobby and recreation.